"Look Sheila, a Wombat board!" Despite being knee-deep in robot parts as I prepare my entry for Pi Wars, I wanted to show you a little something that came all the way across the sea from down-under. That’s right “mates“, Australia! 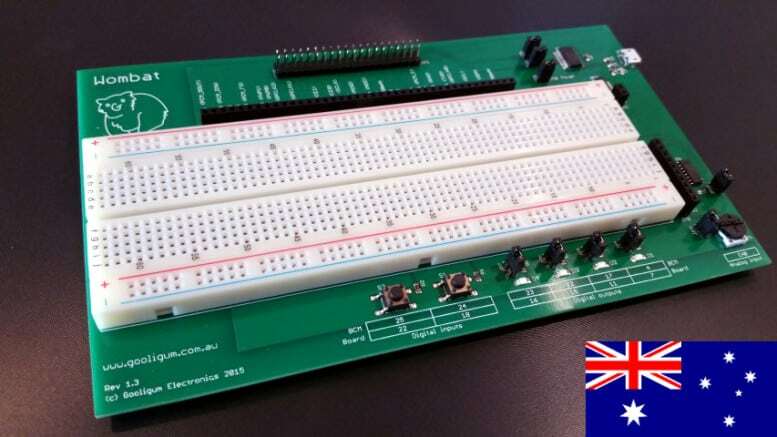 You might have guessed from the opening lines that I’ve gone a bit “Aussie” today – that’s because this post is all about a handy new prototyping board from my chums over at Gooligum Electronics in Sydney’s South West. They’ve created a new kind of product for the Pi that I think a lot of you will find quite useful. It’s an almighty cocktail of Pi-ness – imagine grabbing a breadboard, a PCB, a load of switches, LEDs, an ADC, an FTDI bridge, a voltage regulator, a breakout board, two tins of Fosters and a small fluffy animal. Now chuck all that in a blender. The Result? The Wombat Board! I’ll show you around this little green number, and at the same time try and get as much Australian slang in as I can. Crikey mate, what is it? 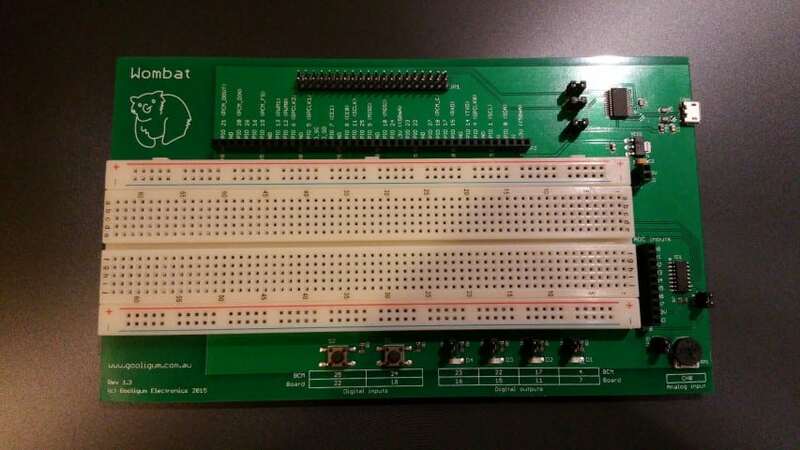 The Wombat board is a prototyping ‘tool’ that gives you quick and easy access to heaps of different functions and facilities without any solder at all. 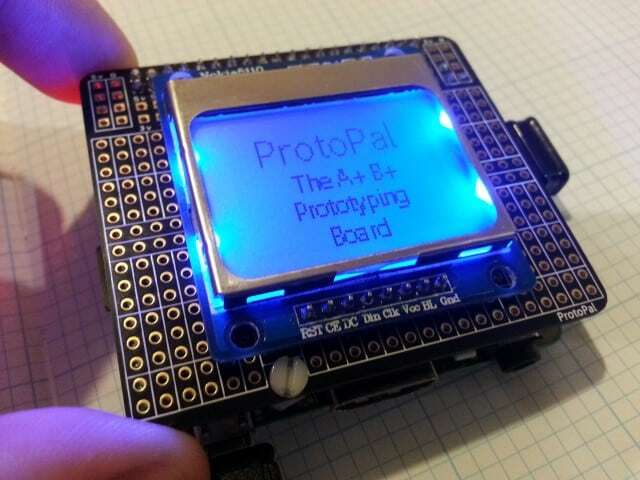 The point of the board is to allow you to think of an idea and quickly prototype it without any messing about. 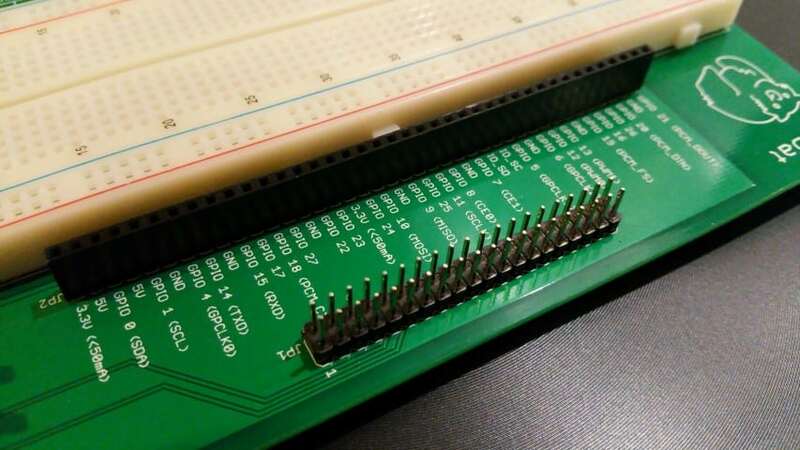 Not everyone is into the soldering and hardware side of making projects, some prefer just to code, and the idea here is to make that a lot easier. It’s a right little “Ripper”! It actually started life over on Kickstarter to raise the initial funding to kick off the product – see more about that here. Sweet as, so what’s on the board then? Right, this thing’s got “big mobs” of gear! Clearly, it has a solderless breadboard. It’s a standard full size job, enough for most projects I’m sure. Next let’s have a closer look at the stuff around the breadboard. It’s got quite a collection of features. 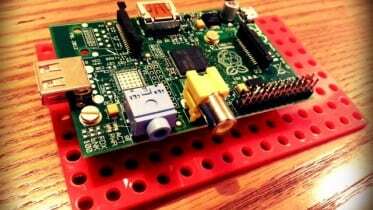 The first thing you’re likely to notice and be familiar with, is a trusty GPIO breakout. With the new 40-pin Raspberry Pi, having the breakout in a row uses a lot of space but works well for a board this size. I imagine it will make life easier when you’ve got a good number of jumper wires on the go. Moving around the board, the top-right corner has an FDTI serial to USB bridge. 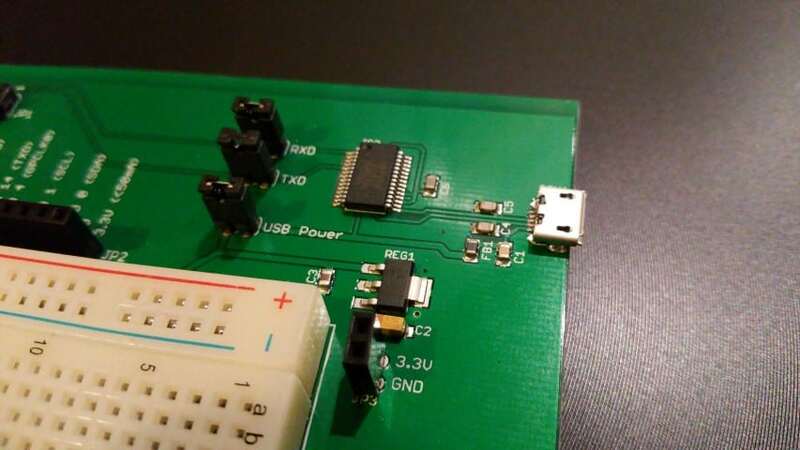 In simple terms, you can connect a micro-USB cable to the Wombat, plug the other end into your laptop, and access the Pi’s terminal from programs such as Putty. It offers functionality very similar to the RyanTeck debug clip I mentioned earlier in the year. Also on this corner is a 3.3V regulator. The Pi offers 3.3V out of the box but with a measly 50mA limit. This regulator takes the Pi’s 5V pin and winds it down to 3.3V with a much more useful 500mA to play with. 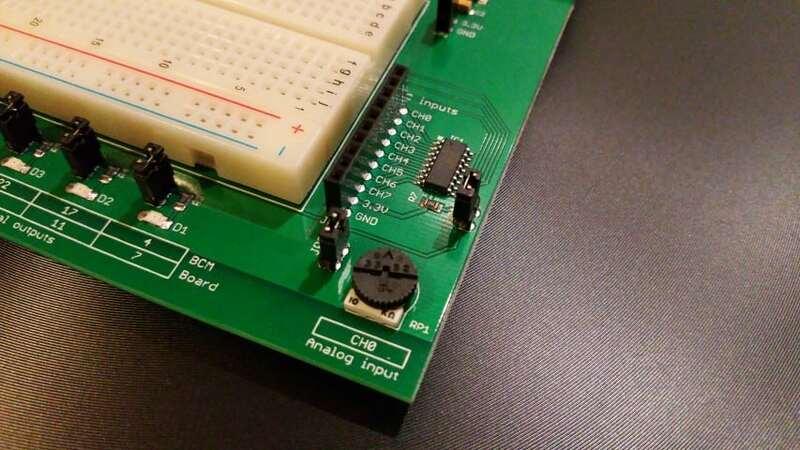 This is great for using with the power rails on the breadboard for juice-hungry prototypes. You can also set a jumper to take the regulator power from the micro-USB port, leaving the Pi out of the equation. As we continue our clockwise tour of the Wombat, our next stop is the bottom-right corner where we find an Analogue to Digital Converter (ADC). Most of you will know that the Pi doesn’t have any analogue inputs, so adding an ADC is essential if you want to use components that can read the ‘real world’ such as thumb sticks, light sensors, temperature sensors and more. Gooligum give you 8 analogue inputs to use here, with the added benefit of a trimpot for testing or general use. On the bottom of the board we find 2 buttons and 4 LEDs. Like the other components on the Wombat, these are wired up and ready to go. Buttons play an obvious role in most prototypes, and the LEDs can be used in conjunction with other parts of your project to give visible indication of what the code is doing. Is that a wombat? Or a koala? Maybe it’s my mother-in-law? Gooligum provide you with a 14-page operation and software guide, which includes all of the fine detail you’ll need on setting it up, the hardware specs, code examples and more. Every feature is covered, including all of the jumper settings and variables. A Python module has been created specifically for the board as well, making it easy to get going with all the features. The key thing here for me is the collection of code examples. That’s my preferred learning style when it comes to Python – take an example, make it work, then go back and figure out what each lines does. One thing I noticed straight away was the decent build quality. It’s hard to get across with pictures but there’s a really nice colour and shine to the PCB as well as clean and tidy soldering joints. There’s also no scruffy or smudged silkscreen that you regularly see on add-on boards for the Pi. I really can’t fault the appearance – with the included rubber legs it will sit proud on any hacker’s desk. Many of you will be crying for “HAT format” – I’m not sure that would work with this product due to all the features and the large breadboard. I still don’t understand all the hype with “HATs” – add-on boards worked just fine before the HAT was born. Either way, it works ‘with’ HATs, it just isn’t a HAT itself. Last note on quality are the extra bits that come with the board. You get a 40-pin GPIO cable for connecting to your Pi, some jumper wires, an RGB LED, photocell and a temperature sensor. With all that gear you can get started straight away with the example projects. The Wombat is currently $50, or a “Pineapple” for slang in the land of Aus (can someone explain this?!). That’s about £33 in good ol’ Sterling, then add around £3 for the cheapest shipping option to the UK. It’s just over the price of a Pi itself which some people find hard to handle, but considering you get a pre-assembled PCB full of features, a mounted breadboard, project components, jumper wires, a GPIO cable, detailed manual, code examples and a Python library – I think it’s very reasonable. Price is a personal thing though, it’s only worth what you’ll pay for it. Let me know what you think in the comments section. Usually when I receive an item through the post, I write a little something on this blog and give it away to a random subscriber. Unfortunately this time I’m just not ready to let this one go – yet! I want to have a good play with it and try out a couple of projects first, then maybe I’ll let it out in the wild. I’ve not done a lot with ADCs yet so definitely one for me to figure out and write about. 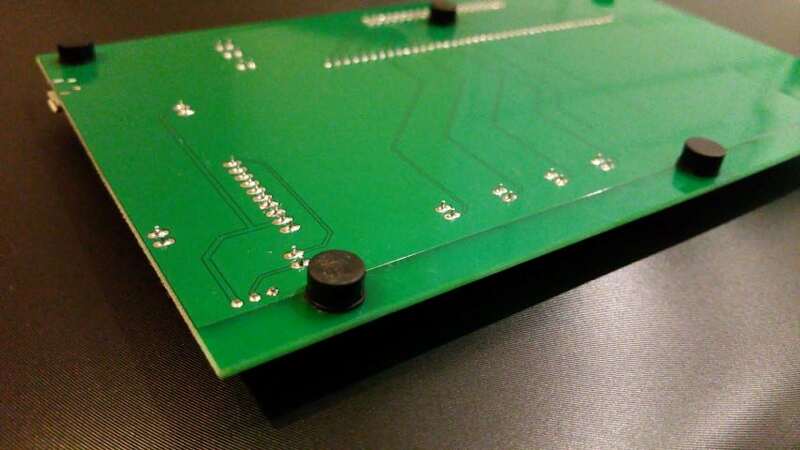 The Wombat board is ideal for those of you who want get stuck in with prototyping without the stress of handfuls of components and messy jumper wires. Those of you who just want to code – here’s the toy you’ve been waiting for. Some of you will naturally prefer to get the parts and build a project from scratch. I can understand that, and I almost sit on both sides of the fence with things like this. However, if like me you have a lack of available time for projects and prototyping due to other commitments, tools like these can be a great help in cutting down setup time. I’m certainly going to be giving the ADC functions a “burl” over the coming months. **TEASER** Want a cool new case for your Raspberry Pi? I’ve got some to give away from C4Labs.net within the next month! As always, subscribers are automatically entered so subscribe now! 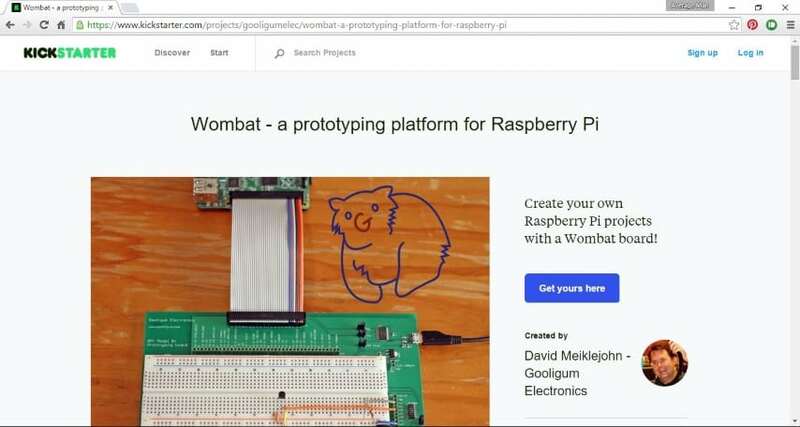 2 Comments on "The Wombat Board – Prototyping From Down Under"
Thanks for reviewing the Wombat board! On HAT compatibility – no, the Wombat isn’t a HAT (as you said, would be a bit big to sit on top of a Pi…), but the Wombat will happily work alongside any HAT attached to your Pi. You just need something like the PiFace I/O Shim to split another set of GPIO pins out for the Wombat to connect to. And some add-ons which sit on top of a Pi pass the GPIO pins through, for other add-ons such as the Wombat to connect to. For example, the display add-ons we’re selling at gooligum.com are fully Wombat compatible. Good shout – my original paragraph almost suggested that it wouldn’t work ‘with’ HATs. That’s not the case so I’ve updated it to be clear.